She’s also a Master Teacher Healer, a National Speaker, and a Bestselling Author! Adrienne has worked as a professional psychic channel and Tarot card reader since 1993 in the Austin area. She has entertained at corporate parties, private parties, charity events, and private consultations. Traveling throughout Texas, she has delivered workshops on energy healing and healing with music at conferences, retirement facilities, hospices, and tradeshows. Adrienne possesses the psychic gifts of clairaudience (“clear hearing,”) clairvoyance (“clear seeing,”) and empathy. As a psychic and intuitive, she is often asked to guide people by communicating with their spirit guides or guardian angels. She especially enjoys helping individuals during private consultations. She offers in-depth advice about love, business, partnerships, career, finance, health, family, pets, lost possessions — and whatever else might be on a client’s mind. In addition to her role as Austin Party Psychic, Adrienne is a master healer/teacher of the Usui (Japanese) and Tibetan Reiki traditions. She is further certified as a peer counselor of Attitudinal Healing. A classical soprano, she incorporates these therapies with color and sound. Adrienne applies her voice and therapy harps to help clients enter a receptive state for healing. Currently, Adrienne is developing a course to teach people how to consciously access and interpret intuitive knowledge. Look for anecdotes of her “adventures” in developing her intuition in her upcoming book, Zounds! I’m Psychic. 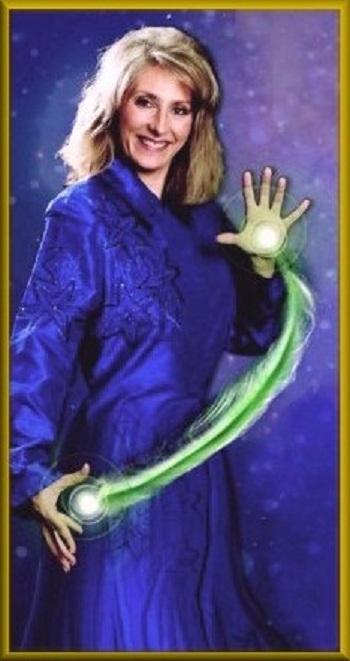 Contact the Austin Party Psychic about Tarot Card Readings or Tibetan Reiki.